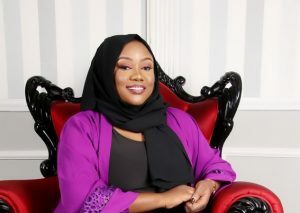 Rinsola Abiola is the Special Assistant (New Media) to the Speaker of the House of Representatives, the founding PRO of the All Progressives Youth Forum, Ag. President of the APC Young Women Forum, and a Youth Representative on the APC’s Board of Trustees. She talks to She Leads Africa contributor, Anuli Ola-Olaniyi, on how young women can build and sustain a career in politics. Can you share your career role and what that entails? I’m a Public Relations consultant and young woman in politics. I currently head the APC Young Women Forum, a support group for the All Progressives Congress and mentorship and capacity building platform for young women aged 18-35, who are members or supporters of the APC. I am also one of three youth representatives – and the youngest person – appointed to the APC Board of Trustees. When did your career in politics begin? What propelled you to make this decision? Full-fledged political participation began in late 2013. Prior to that, I had been involved in civil society via a number of youth-focused NGO’s. The decision to join mainstream politics was informed by a desire to be part of the process, as opposed to sitting outside of it and offering criticism. I just wanted to be a part of what I’d spoken so much about so that I could contribute my quota to bringing the sort of change I wished for. It was also predicated upon the realization that political office would enable me do so much more and for a larger number of people, than I could as an individual. Do you believe young women have a role to play in a career in politics? What impact can this bring to the nation as a whole? Yes, I do. The representation of women in politics and governance is dismal. We need representation in good enough numbers in order to drive the sort of policies that women, in particular, require. If we account for half of the population, then representation in all spheres of national life – including politics – should reflect this. Unfortunately, this is not the case and it is highly imperative that we correct this. The involvement of young women through mentoring and capacity building would go a long way in grooming a new generation of women who are prepared to hold both elective and appointive positions, and have a clear strategy for engagement. When this happens, the excuse of not having enough women interested in politics or qualified for office would no longer be tenable. When we have more young women in politics, we are ensuring improved representation and disproving notions that the term “youths” is solely reserved for young men. We would also be securing the future for girls and women by designing and implementing policies which would help them surmount challenges and improve their quality of life. Are there special subject areas or qualifications you need, to have a head start in politics? For basic political involvement, no. Our population is diverse with people of varying ages and backgrounds and educational attainment levels. You don’t need much education to be able to mobilise and campaign for a candidate, for instance. However, if one wishes to occupy elective office, there are minimum requirements established by law. For some of these, such an individual must have completed secondary education, at least. For appointive positions, one would require certain skills or qualifications in order to be deemed worthy of such a position. I would, therefore, generally advise that while you do not need formal education to be politically active or to join politics, if you wish to proceed beyond mobilizing for other candidates and to occupy office or someday hold a key position, then you have to work towards this by getting the necessary qualifications. Intellectual capacity is key and formal education provides a level of refinement which helps a great deal. On an individual level, it is important to have good communication skills – this entails knowing the right way to engage a particular type of audience, from the highly educated to the not so educated. In your opinion, what can young women do to be taken seriously in a male dominated field? Same as anyone needs to do if they want to be taken seriously; have something to offer, add value, develop a good number of skills required and seize good opportunities to prove your mettle. Be loyal, dedicated and committed to the ideals of your environment. Be able to offer something worthwhile when you’re called upon for your opinion or recommendations. Take a professional approach to everything, distinguish yourself, do not leave room for doubt and know how to be firm without being forceful or harsh. Also, learn to take decisions which you’re not pleased with in good faith, as there will be many of those and the journey is long. You need to be able to focus on the bigger picture and know that some battles may be lost, but restrategising and reintroducing these things at a better time is a more viable option than throwing in the towel. Would you mind telling us where you started from and how you got to where you are now? What roles have you held in the past and how did that help in getting you to where you are now? As previously stated, I did some work with youth-focused NGOs before opting for mainstream politics. I worked with the Nigerian Youth Multi-stakeholders Dialogue Summit Group (NYMDSG), serving as its coordinator for the South West region, then briefly got involved in the activities of the National Youth Council of Nigeria (NYCN). The foray into politics began with the All Progressives Youth Forum (APYF), which was formed in early 2014 as we prepared for the merger of our legacy parties. I served as the founding PRO and some months later when the APC Young Women Forum was formed, I also served as the PRO/Secretary. The work with youth groups helped by providing me with knowledge of what young people actually desire from government. I learned a great deal on how to communicate effectively, engage audiences, and deliver effective speeches. I also learned to view time as one of my most valuable resources and to know that spending it in the cause of seeking inclusion for young people was a calling which ought to be taken with utmost seriousness. Professionally, I’ve worked at a magazine, in a bank, then when politics came along, I realised the frequent travels which my position demanded were incompatible with a 9-5. It was then that I got the required certification in Public Relations – a profession I had always admired – and set up a firm. Here, I learned the importance of a strong work ethic and the need to manage time effectively in order to attain balance and achieve goals. The NWTF in partnership with WIPF recently launched YWIPF. As one of the executives, how will this help in empowering other young women to pursue a career in politics? In line with the objectives of YWiPF, I’m set to begin a peer mentoring programme with young women both here in Abuja and other states of the federation. Some of them don’t even live within Nigeria but hope to return and participate fully in politics someday. Through this peer mentoring, for instance, we’ll be nurturing a seed which he hope will grow into a movement that will see more women involved in politics and governance at all levels. Also, knowing that a Forum exists for young women with similar interests will encourage many to join, as one thing I have noticed is that some are interested but are just at a loss as to how begin. As an APC Young Woman Leader, can you elaborate on the core skills you need to lead effectively? Effective time management, effective communication with both our leaders and members of the Forum, patience, willingness to listen to others, ability to design and implement ideas, adopting a leadership style that is truly democratic and being accessible, although I must admit that the last one is a challenge sometimes. I have also learned to delegate and to split work load, so no person is too bogged down with responsibilities as that often negatively affects productivity in terms of ideas and planning programmes or events. You also assist the House of Representatives to a huge capacity. Please tell us how you juggle and prioritise your career duties and goals? I work in the House of Representatives as an aide to the Speaker of the House, Rt. Hon. Yakubu Dogara. For me, this assignment comes first so what I do is that I plan everything around my work schedule. For instance, I got appointed to the APC Committee on True Federalism while the House was on recess, so I was able to use this time for that since my workload was lighter. I also planned a programme of the Young Women Forum to take place during that period, so no conflict would arise and all of these would not take out too much time from that which I’m required to spend in the office. As a result of the political involvement, especially as it pertains to young women, I’m also chosen to attend programmes like study visits often. I do not accept all of these invites but on the occasions that I’m interested, I seek permission from my principal, who has been very gracious and kind. He’s also very supportive of youth and women inclusion in politics and this has helped a great deal. Generally, I need to plan ahead and put in the necessary effort to use my time purposefully. Are there certain key employability skills one needs to possess in order to have a career in politics? A career in politics could be built on varying levels. At grassroots level, we have the key mobilisers without whom an individual’s candidacy would be dead on arrival. If that kind of key mobilization potential is what you’re aiming for, then have people skills and the required resources. If you want something else, like to occupy an appointive position, you need to be qualified for the spot you want to fill or have been nominated for, and have a CV tailored to the requirements. This is because some positions require more technical knowledge than others, and hoping to attain one of these on the strength of political involvement alone is somewhat foolhardy and reeks of a sense of entitlement. If the kind of career you wish for entails winning elections, you need to be able to sell your ideas and get people to believe in you. You can’t do this without grassroots presence and without campaign resources, so make the necessary contacts which would enable you mobilise all of these when you’re ready. Get a good, reliable mentor who can put you through, someone who can help finetune your ideas and give practical advice on how to proceed. This would preferably be a more seasoned politician who has achieved what you are aiming to, or has been in politics long enough to offer sound guidance. Do you have a mentor? How has he or she shaped your chosen career choice? I do. I have five mentors at the moment namely: a serving governor, a serving legislator, an aide to the President, a former minister and commissioner, and a DG of a federal agency. They have helped develop my communication skills, given practical advice on how to overcome the occasional challenge, and how to draft a workable plan in order to attain goals outlined for the future. Personal development is a must for everyone. How do you see to it that you don’t become obsolete in your career? I have been on a number of study visits to other countries, where there was extensive interaction with young people in politics and an exchange of ideas and experiences. I study global political trends and discuss observations with those more knowledgeable than I, in order to have a clear understanding of occurrences both locally and internationally. Since I began working at the House of Representatives, I have also learned a great deal about the legislative process. Professionally/educationally, I’m about to enroll for another degree, this time relevant to public service. You seem to enjoy cooking and I have seen your love for good food on social media. Is that a part of you that may be explored further in the future? (Laughs) I like cooking, mostly out of necessity and dissatisfaction with food that’s not cooked how I would prefer. I tried my hand at food business as a teenager when I sold pastries back in secondary school. However, I honestly do not think it’s a field I will be exploring any time soon. Perhaps, in future. Never say never. I mostly just cook for family and friends, though. For young women who are considering a career in politics, give us 3 key advice/tips they need to enter and sustain a choice in politics. It is important to have a second address as there’s no substitute for your professional qualifications. That’s what keeps food on the table and even when you’re offered a spot somewhere as a result of your political involvement, you’ll need to be qualified for it. So never ignore that aspect of self development. Politics is expensive and you need resources. This is related to point 1 but still needs to be said. Work, earn, save. You may need to travel at short notice, you may need to print campaign materials, you could be called upon to run for office and you’ll need resources so be prudent. Also, build a good network of people who believe in what you stand for and would be willing to support you when the need arises. Be careful not to abuse this by ensuring such requests are for genuine campaigns/programmes and not for personal gain. All politics is local. You should know your people and your people should know you. This entry was posted in Interviews and tagged Advice, career, career advice, Civic Participation, confidence, Employability Skills, Interviews, Job Tips, opportunity, Personal Developement, Political Participation, Politics, Rinsola Abiola, Women. Bookmark the permalink.